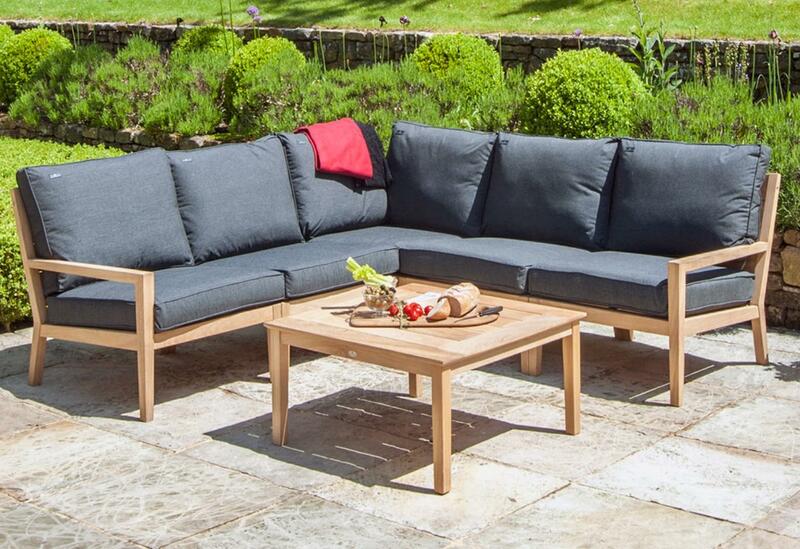 Modern garden lounge corner sofa sets, combining durable, high quality Roble hardwood with durable, rot and fade proof, 100% dyed Olefin fabric, deep seat and back cushions available in 2 modern colourways; a contemporary dark charcoal or a classic oatmeal. 10% Already taken off the RRPs for the set. 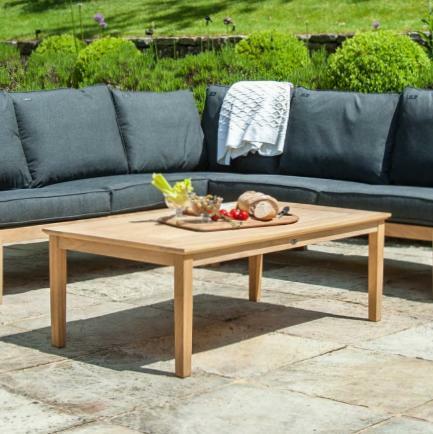 The Roble wood comes with a 10 year warranty and the Olefin cushions have a 2 year warranty. 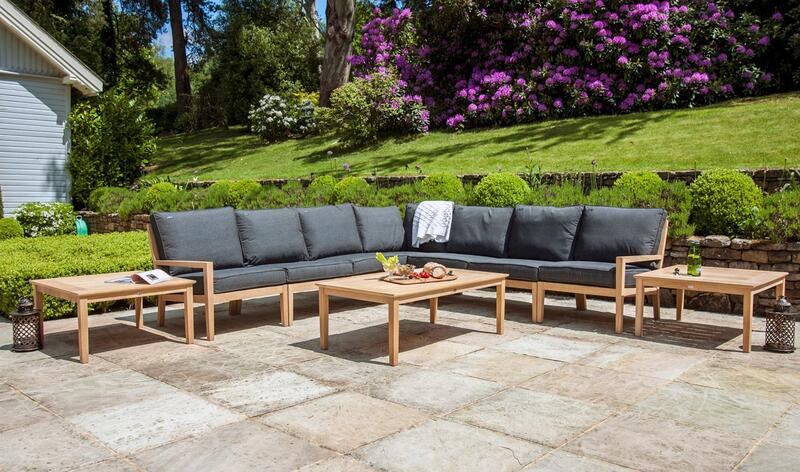 Scatter cushions can be purchased in a variety of colours - see separate entry within Garden Accessories. The furniture itself can be left out all year round but NOT the cushions. These are NOT waterproof and although quick drying, leaving them to get wet will usually leave water marks and certainly if not dried will cause rotting and deterioration of the fabric. Please always store cushions in DRY conditions between use.